First up, a sleek, chic and elegant low bun that would look amazing with a gorgeous dress or top. Add some statement earrings (or keep it minimal) and you’re good to go! You won’t believe how straight forward this tutorial is and all you need is a couple of minutes, a hair elastic, some bobby pins, and hairspray. That’s it! 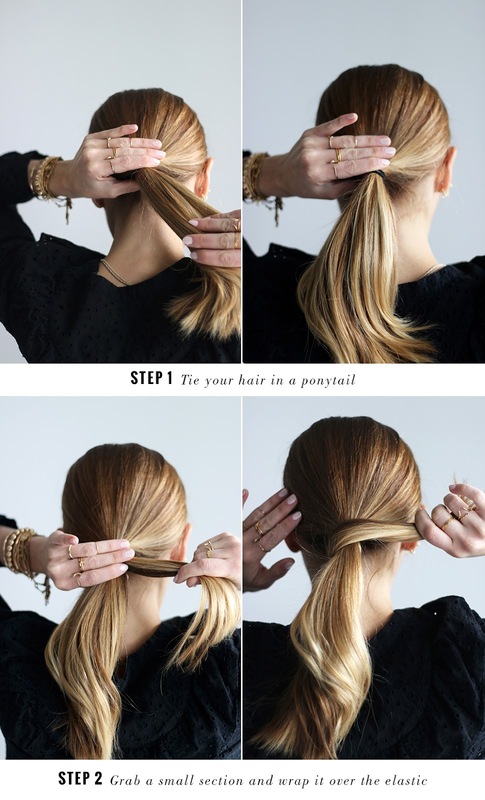 STEP 1: Tie your hair in a ponytail (If you want more volume then add some texture beforehand with your wand or straightener). 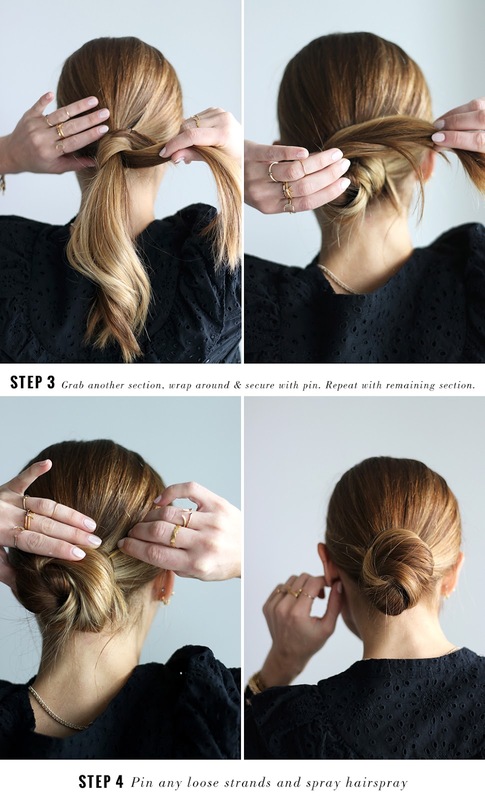 STEP 2: Grab a section and wrap it around the hair elastic (clockwise), securing with a bobby pin. STEP 4: Wrap the rest of the hair and secure with pins. If there are any loose hairs or strands just pin them down and spray some hairspray to prolong the look. Hair and photos by Cabello by Carolina.